In a recent post Meklort stated that he will focus on simplifying the installation experience even more for the 0.8.4 release. his main goal is to make NetbookBootMaker supported on multiple platforms (or a version of it for each). Many users on the MyDellMini forum have installed using Mechdrew’s NetbookCD and related guides. 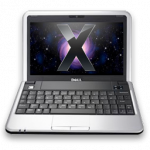 At the moment, NetbookCD can patch an OS X install DVD at runtime by using a special kext and a console version of NetbookBootMaker. This will be incorporated into both NetbookInstaller as well as NetbookBootMaker. NetbookBootMaker is in the process of being rewritten. It will no longer patch the installation dvd, instead NetbookBootMaker will install a postboot ramdisk (as with NetbookCD) that will patch the dvd (or usb drive) at runtime. This means that tiger will be a supported host OS. NetbookBootMaker will be ported to Windows (using Cocotron). NetbookBootMaker will be able to at least create both usb devices used for the two usb install method, although I&apos;m also planning on getting it working with just one usb drive. Look into creating an app for Linux, however creating the usb drives can easily be done already. NetbookInstaller will automatically be run after a system update. A modified chameleon will run NetbookInstaller (via a ramdisk) if it detects the /System/Library/Extensions.mkext is newer than /Extra/Extensions.mkext. This should only happen if the user installs an OS update, or installs a kext to /S/L/E. NetbookInstaller and NetbookBootMaker will support 64bit targets. 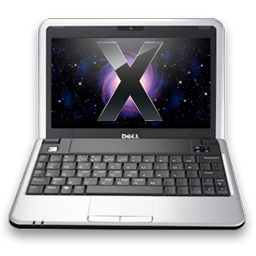 The main reason for the 64bit support is for the new Atom cpus from Intel, as well as netbooks with the Atom 330 cpu. In other words 0.8.4 will focus on unifying the various installation methods so that a common code base can be used, as well as to simplify the amount of work a user needs to do to install OS X. Since 10.5 is no longer in development, NetbookInstaller will no longer support Leopard. You can use an older version, such as 0.8.3. This is being done to simplify application as well as to reduce the download size. via NetbookInstaller Plans (Specifically 0.8.4) « Meklort’s Blog.